A well-maintained and shiny instrument performs at its best, won’t you agree? As a musician or as an aspiring one, you know your instrument—your pride and joy—needs to be cleaned and maintained properly. 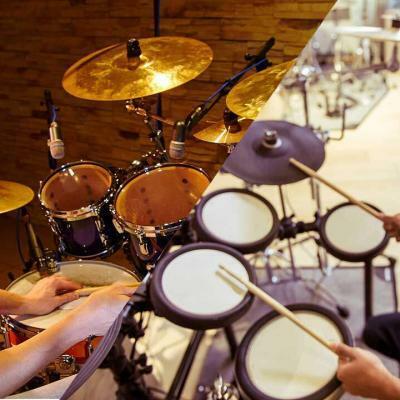 How to clean a drum set is a question often asked by beginners and even those who have just gotten to dream to own one. Is there a special trick on cleaning a drum set? How and when do you clean it? What do you need? Let us find out! Anything that is exposed to the air will eventually harbor dust! Even instruments on your tight shut music studio will have a thin film of dust over time. Taking the dust off is relatively easy. However, your drum set harbors more than just dust. Have you noticed the tip of your drumsticks? If you are paying enough attention, then you are aware that they are worn out. No matter how expensive your sticks are, splinters of wood would gradually chip off and fly somewhere when you smash them. Some of them land on the floor and others are stuck on the rims of your snare and toms! Step 1: Disassemble Your Drum Set. There is no special trick in cleaning your drum set. However, you need to know at least how to assemble and disassemble your kit for a thorough clean. The first step is disassembling your drum set. Loosen every piece of hardware and group them accordingly—separate the metal and wood parts. 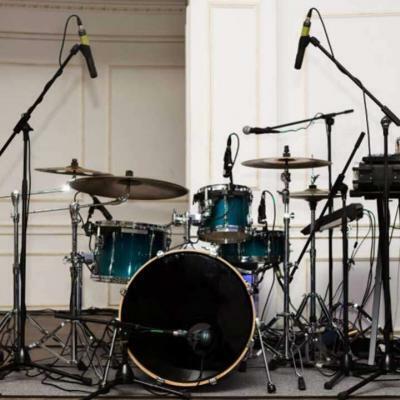 You will be using different cleaning materials to give your drum set a blinding shine! Step 2: Brush Off the Rims. Using your 1-inch brush, take out the chipped pieces of wood stuck around the rims of your drum set. Use your smaller brush if there are nasty pieces that won’t come off easily. Do this with all your toms and snare. Step 3: Polish the Rims, Cymbals, and Hardware. Before you polish the rims, line up the wooden parts and the skin with masking tape. Non-abrasive metal and chrome polishes may not be friendly on wood and may corrode the top coat of the wooden pieces. Dispense a small amount of polish on your terry cloth and spread it evenly on the metal parts. Cover everything and add a few more drops of the polish as needed. After applying the polish, use a clean terry cloth to wipe and scrub the metal parts to bring them to a shine. Do this on the top rims, bottom rims, and clamps. While you are dabbling on your chrome polish, leave the snares and continue with your cymbals and other hardware. Basically, it follows the same method of cleaning—apply the polish first and wipe it off with a clean terry cloth. Pay close attention to the tight spaces. Polishing creams may leave nasty white debris in these tight spaces. When you’re done, you can setup the hardware back to your studio. Step 4: Polish Your Toms, Snare, and Bass Drum. Now, use a different cloth on the wooden parts of your drum set. You can take off the masking tape you placed to protect it from the metal polish. Any wood conditioner will do fine. However, lemon oil gives more protection, and it smells nice! Lemon oil is relatively safe to use on wood surface and won’t leave uneven markings. You can safely apply it over the wooden surface and spread it evenly using a terry cloth. After an even lemon-oil application, wipe off the excess using a clean terry cloth and bring it to a luster. Step 5: Reassemble Your Drum Kit. After cleaning everything, the more challenging part is building it back. Carefully reassemble your drum set and make sure you tighten everything correctly. Be patient and wipe off the fingerprints you leave with a clean terry cloth. Step 6: Tune Your Drums. 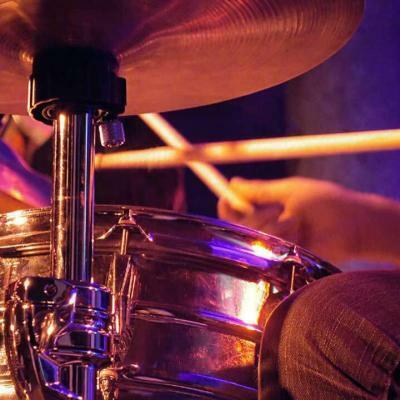 While cleaning every tight nook and crevice of your drum set, you may accidentally detune your toms and snare. Before you invite your friends over to jam, tune your drums first. 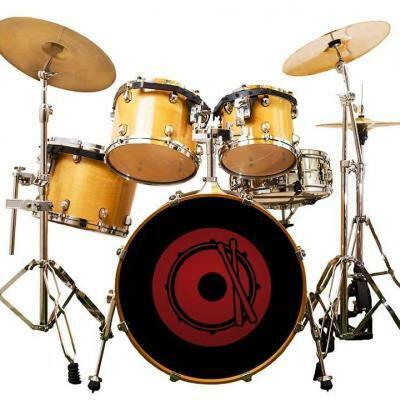 Now, take a selfie with your shiny drum set and show your bandmates that you are ready to rock! 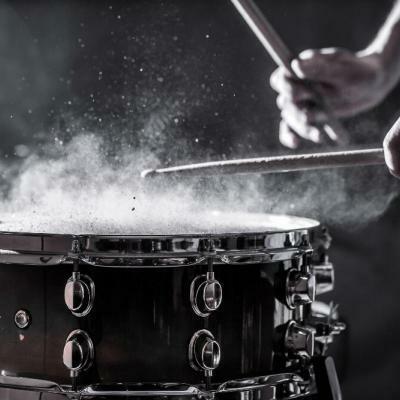 How Often Should You Clean Your Drum Set? To maintain your drum’s shine, ideally, you should wipe it off after you use it. A thorough clean should be done at least once a year to keep the splinters off the rims, and to renew the shine of your hardware. The next time you change your drum skin, you may want to insert a packet of dehumidifier inside the toms, the snare, and the bass drum. 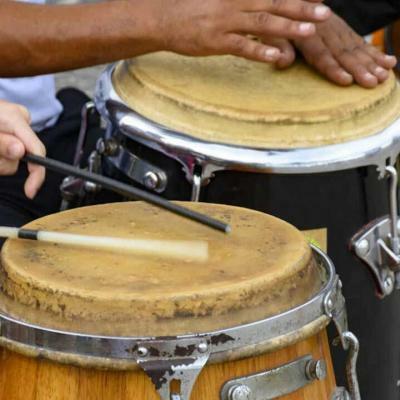 Place them on the sidewall of the drums to make sure that no moisture will build up inside as molds and mildew thrive in moist environments. 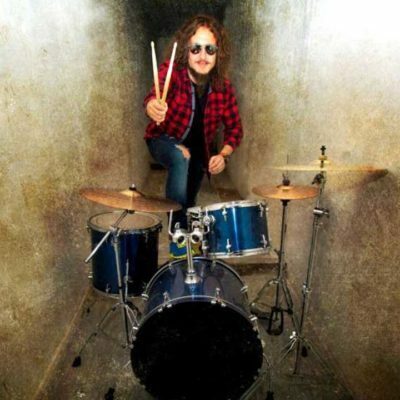 Keeping the insides of your drum kit dry will ensure that no organism will live there! 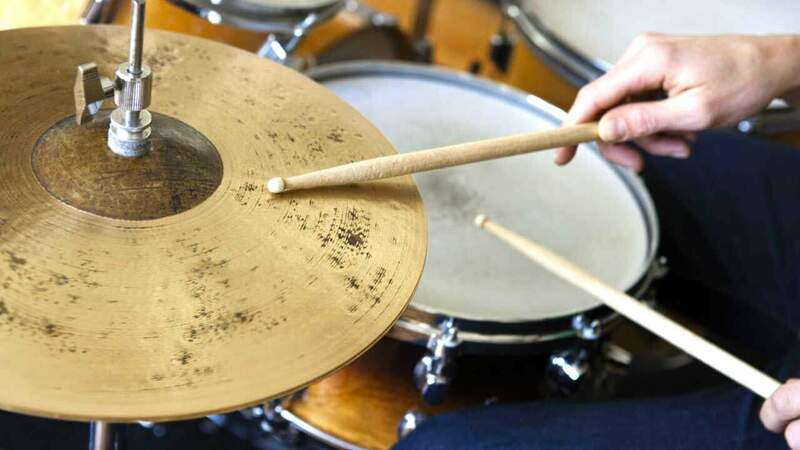 If you have a worn drum set at home or you have bought an old one, cleaning may take quite a longer time than a properly maintained drum set, of course. The hardware can become rusty overtime when not properly taken care of. The bottom line is not to leave your drum set unattended! It only takes a few hours once every year to clean them! And now that you know how to clean a drum set the right way, you can set a specific time of the year to clean it. How about, every first week of the new year? That will make a good point to tick off your list of resolutions. I really appreciate your advice to check in all of the small crevices and holes for polishing cream residue, since it leaves a white residue in crevices if you don’t wipe it away. My son really wants to be a drummer, and my wife and I are considering getting him a drum set for his birthday. If we do get him a drum set, I will definitely show him where the crevices are that he needs to focus on cleaning! Thanks Ken, glad you were able to find the article useful!